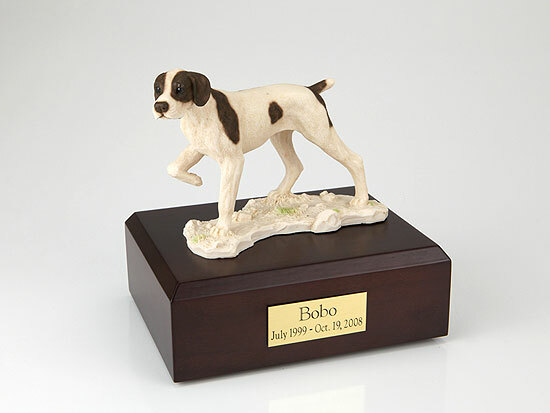 31-60 lb. 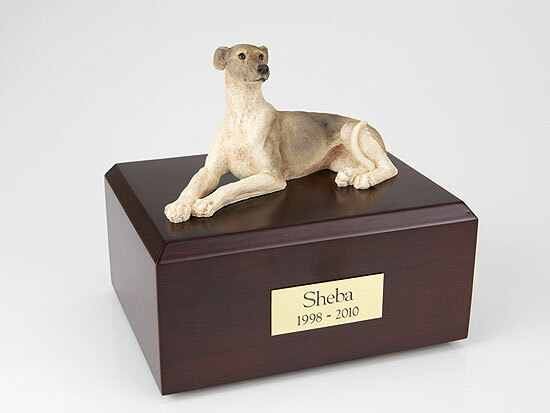 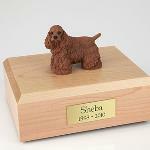 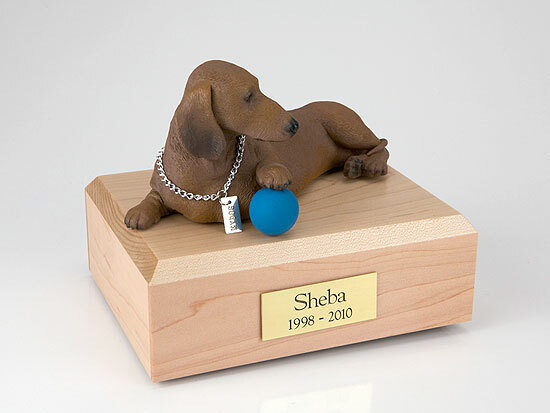 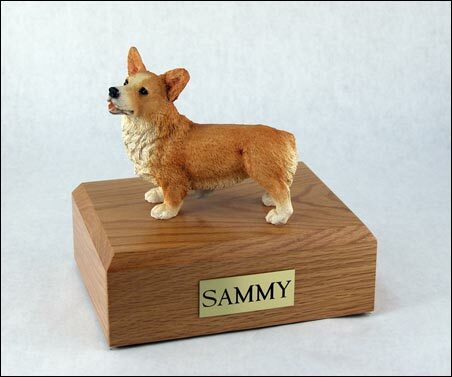 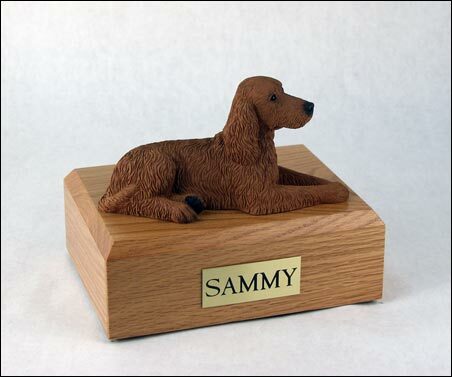 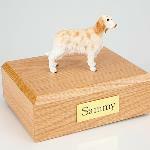 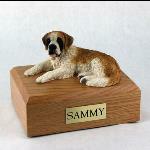 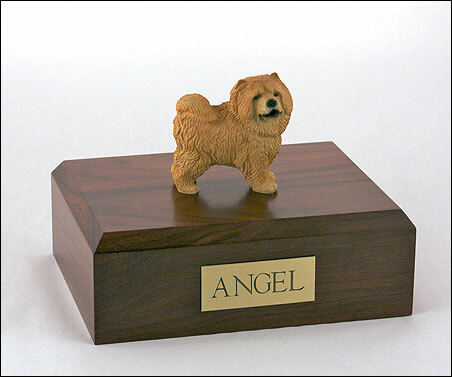 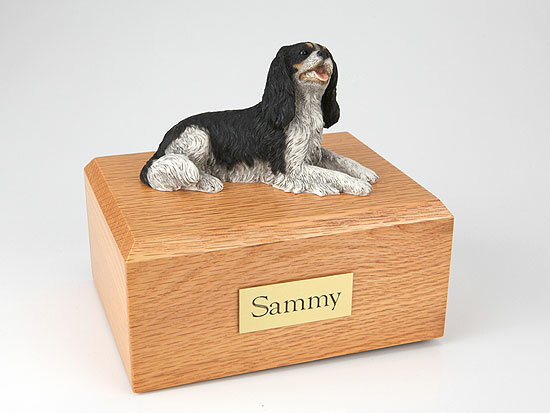 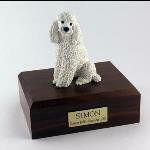 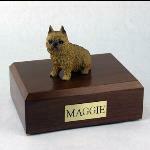 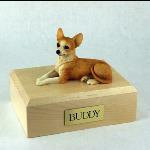 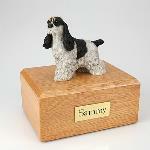 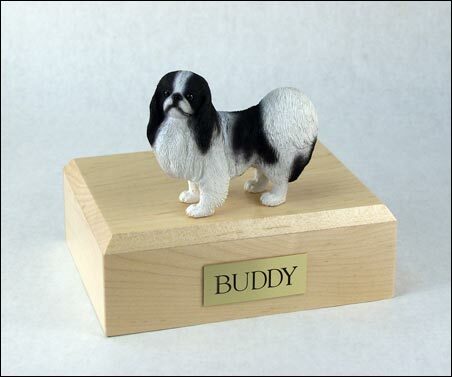 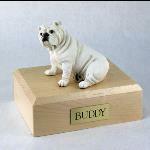 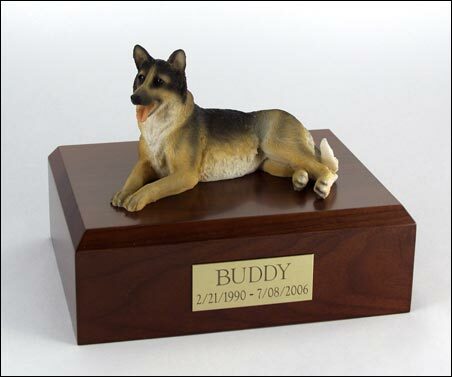 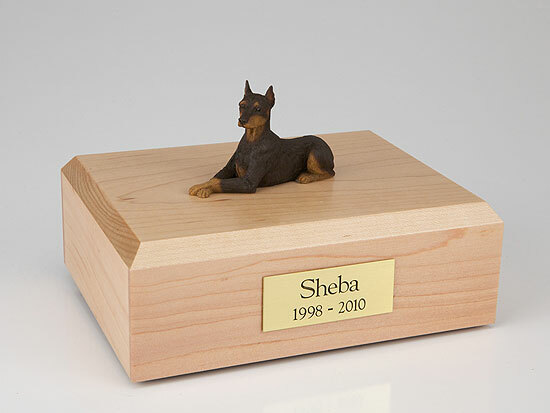 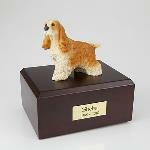 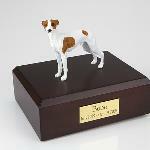 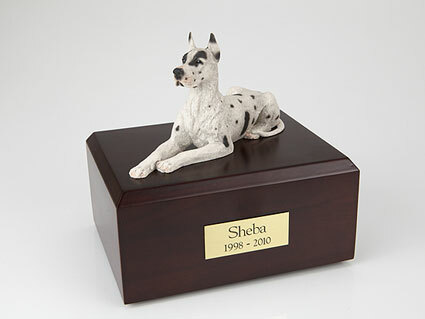 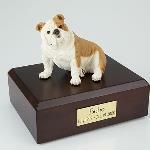 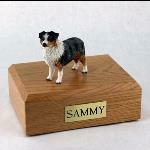 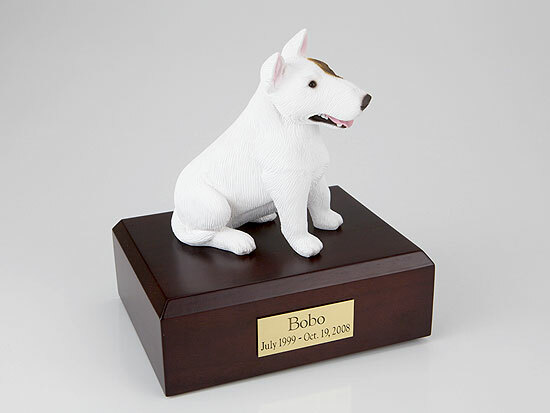 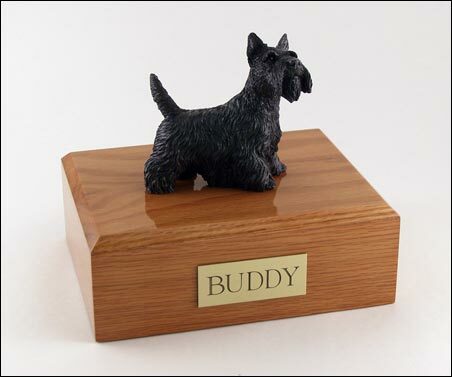 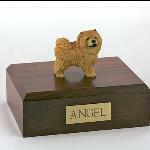 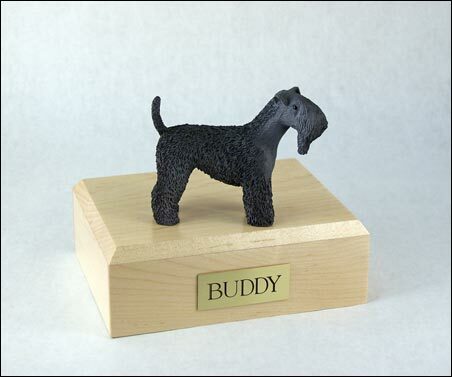 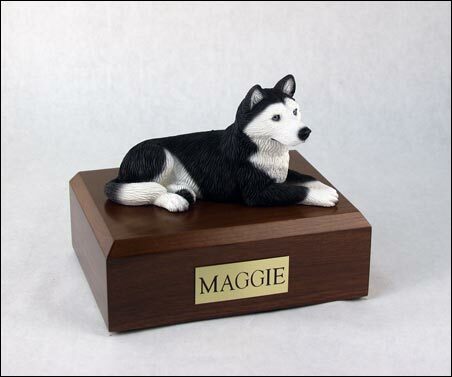 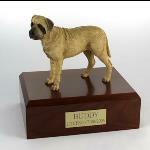 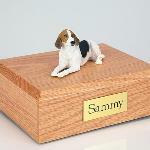 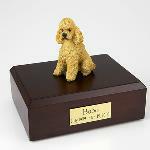 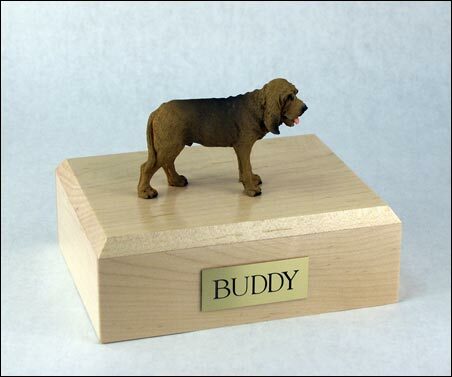 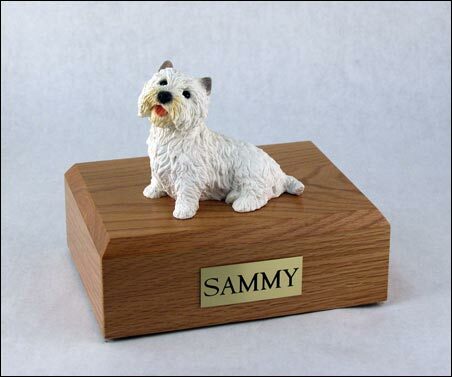 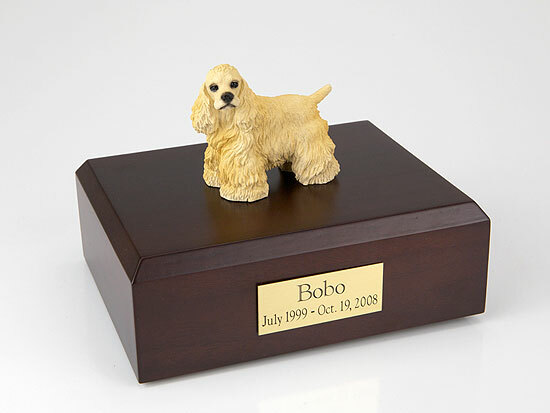 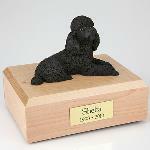 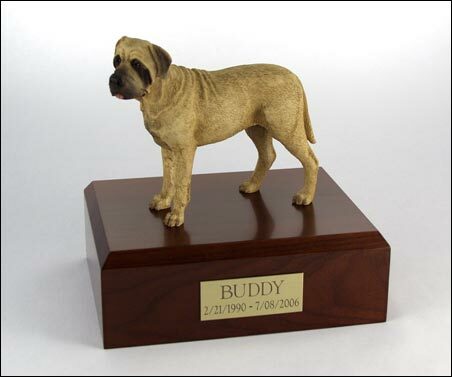 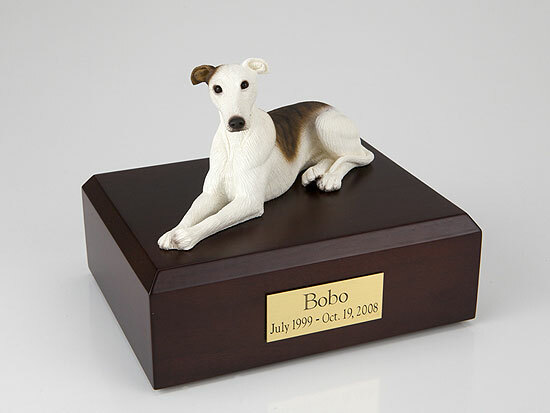 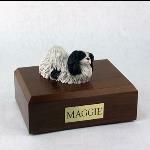 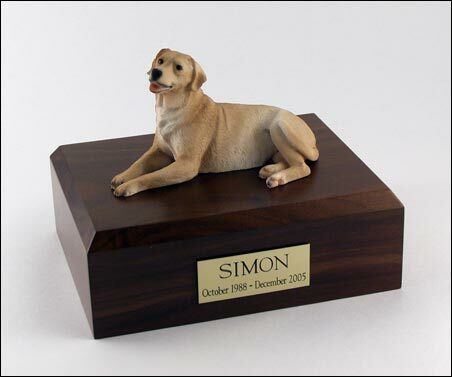 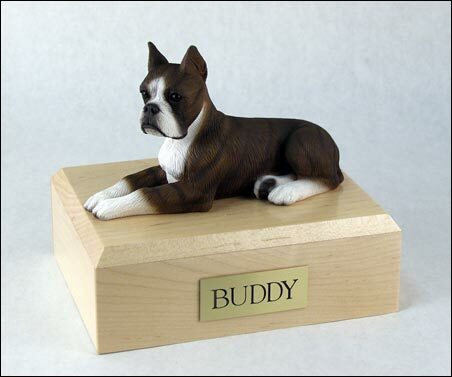 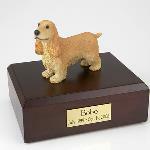 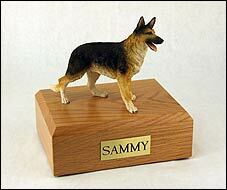 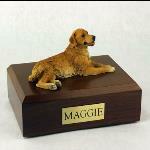 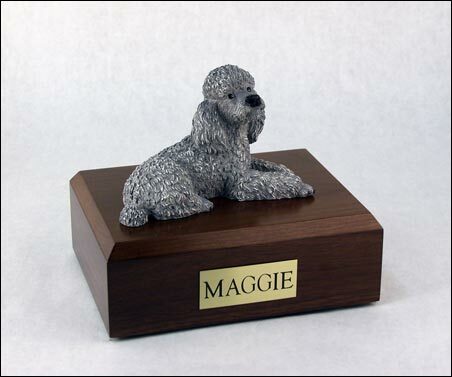 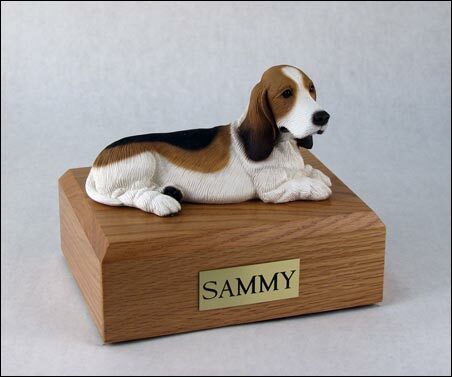 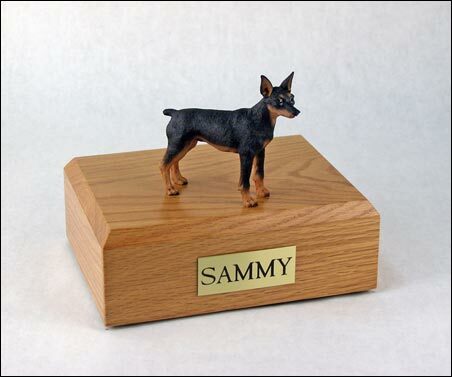 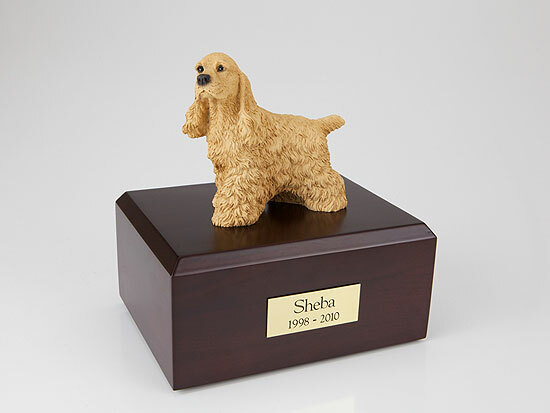 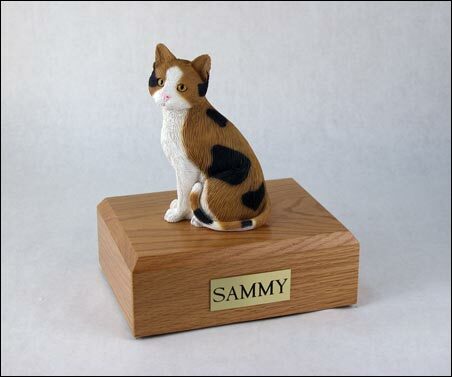 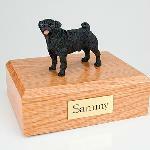 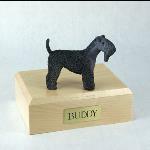 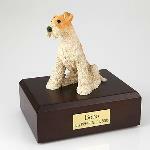 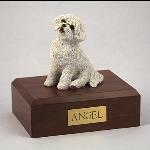 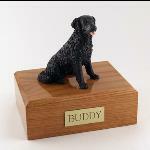 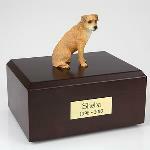 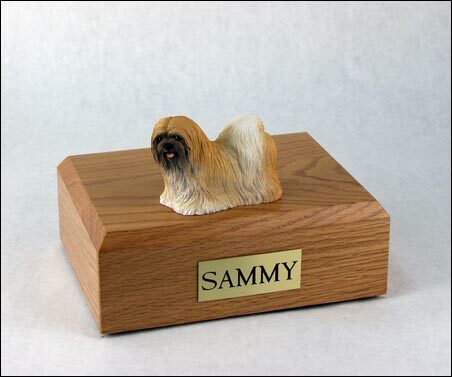 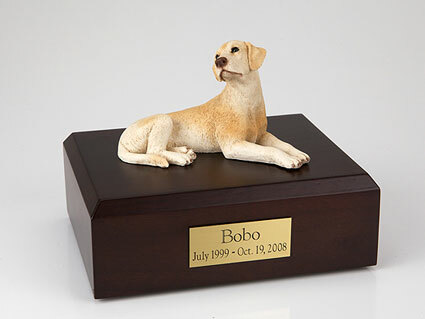 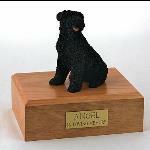 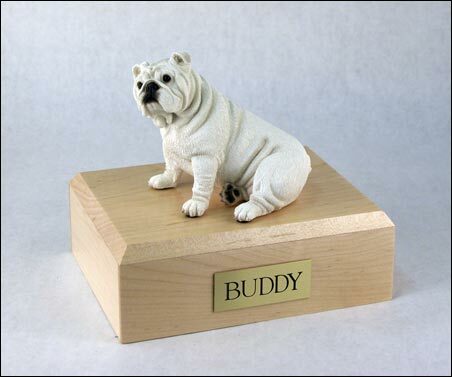 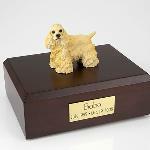 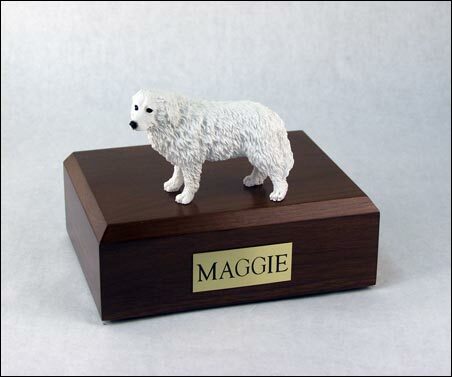 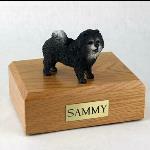 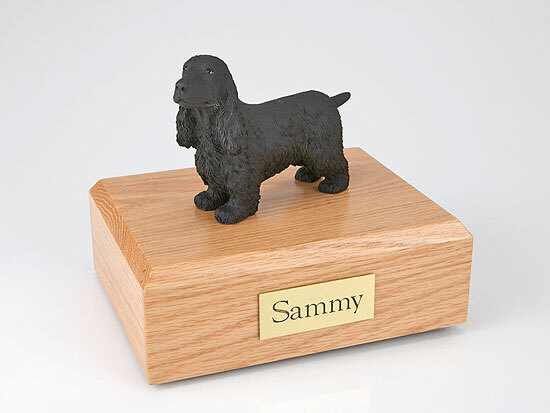 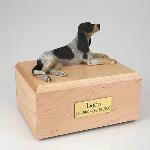 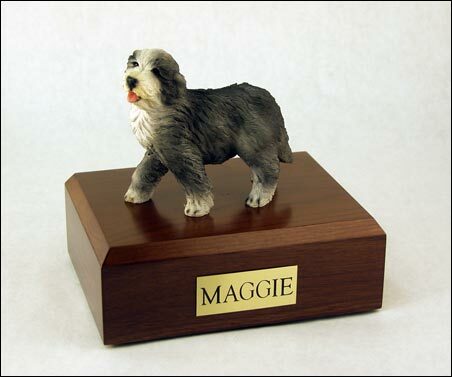 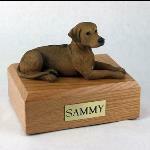 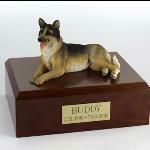 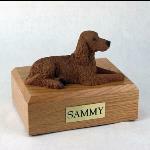 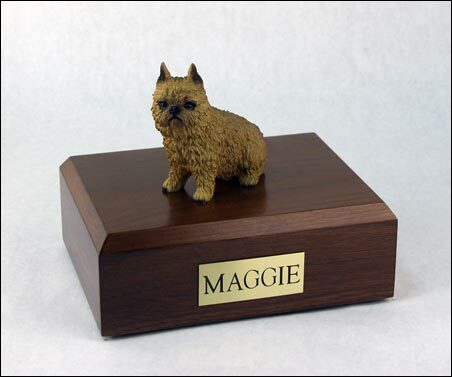 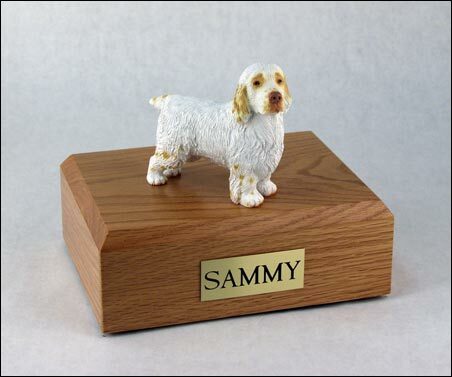 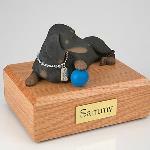 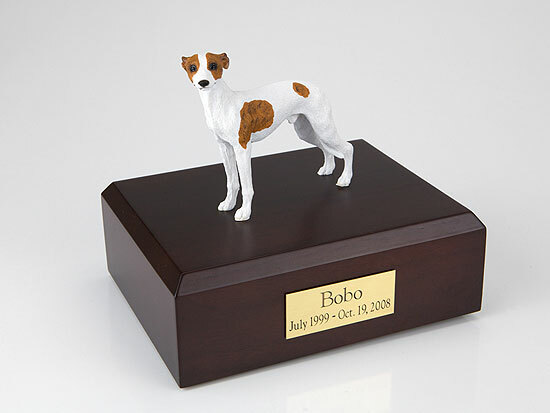 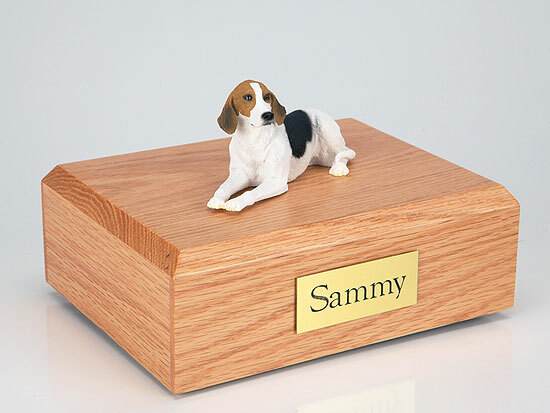 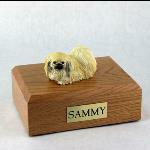 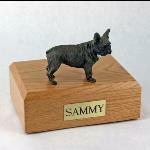 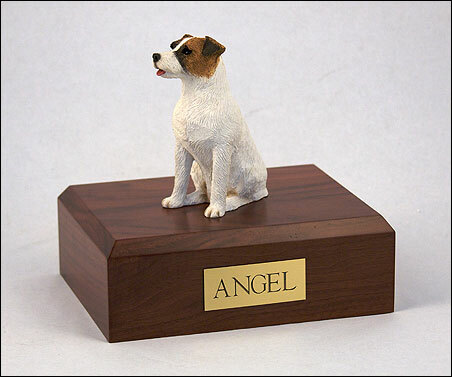 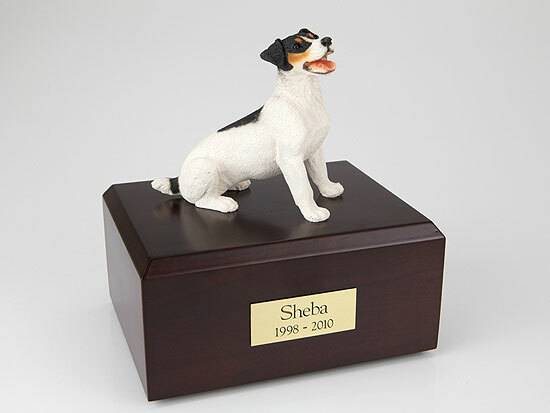 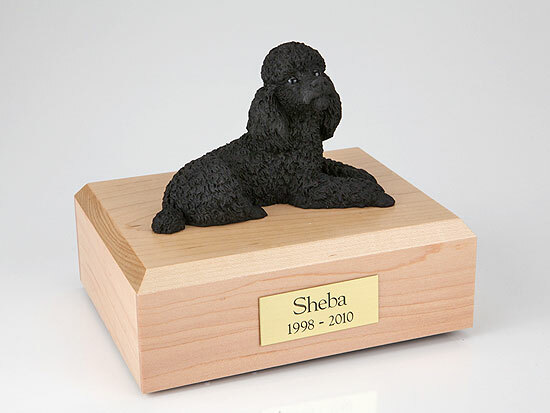 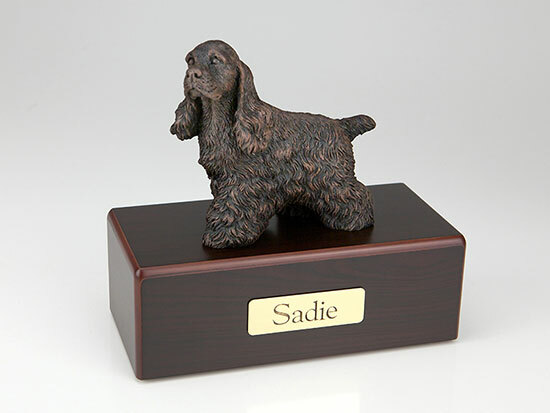 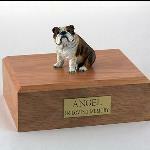 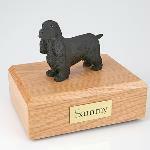 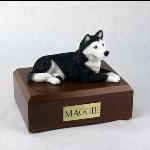 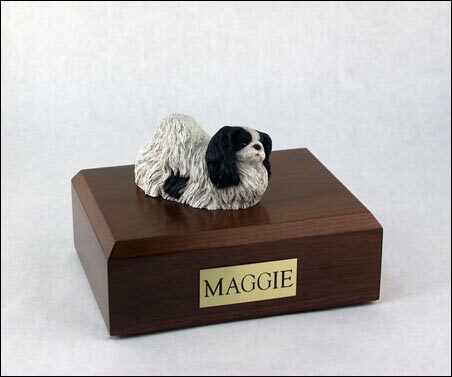 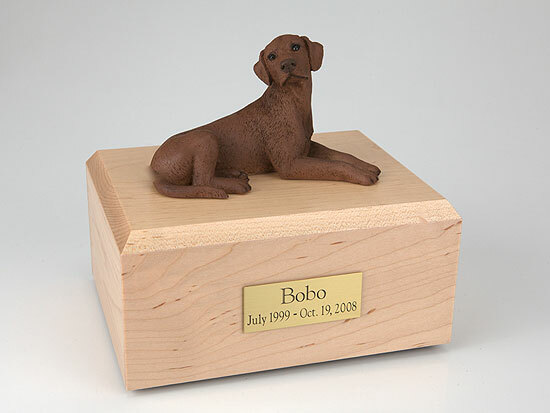 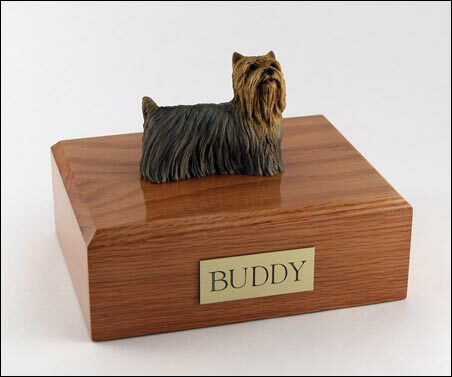 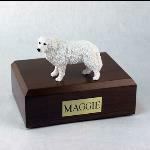 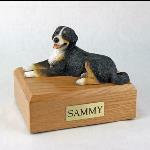 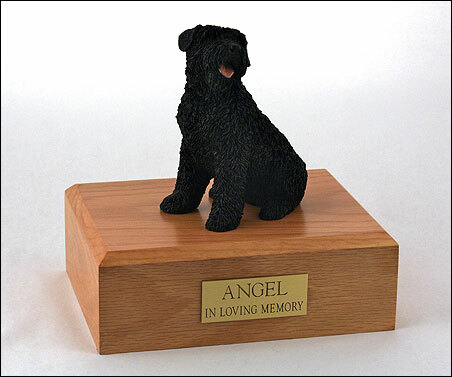 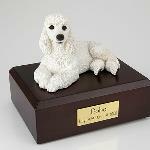 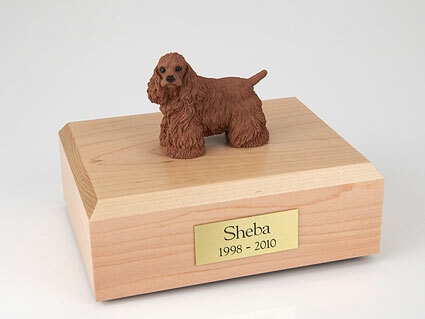 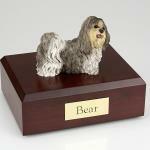 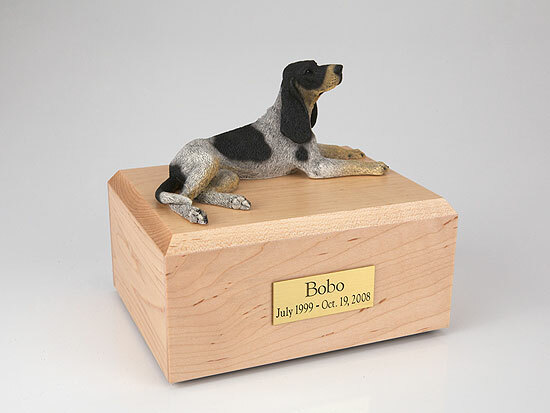 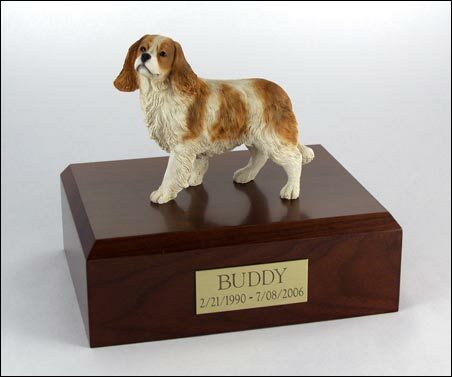 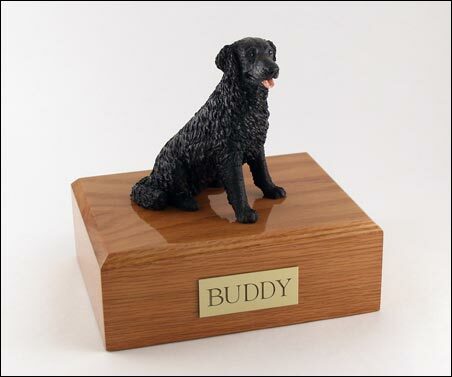 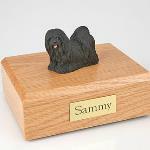 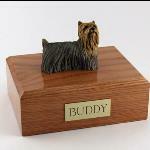 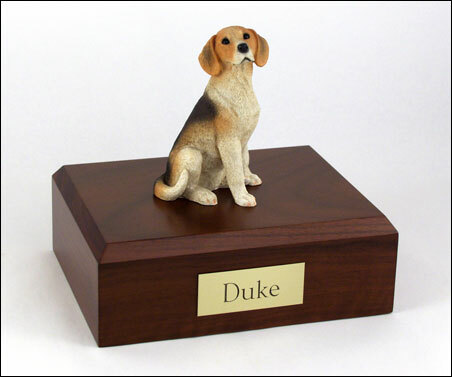 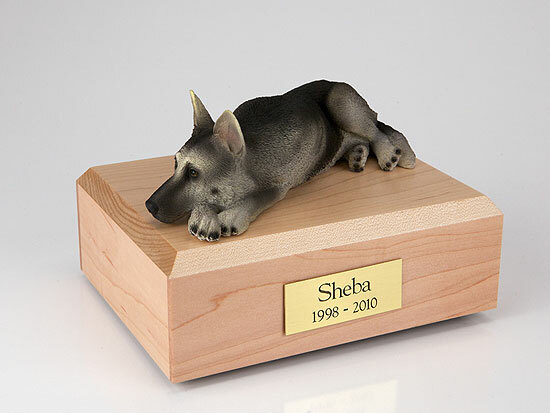 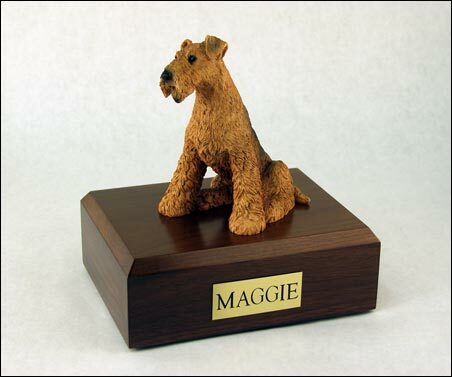 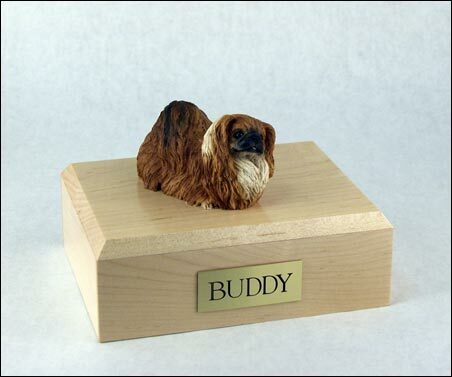 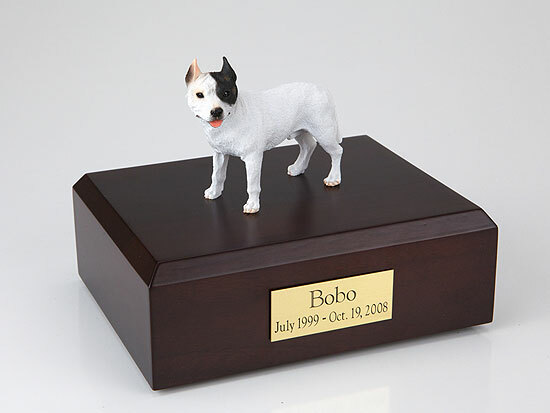 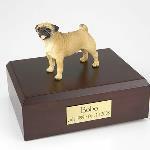 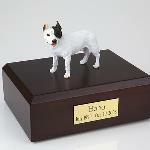 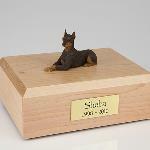 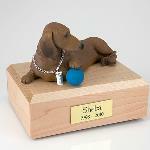 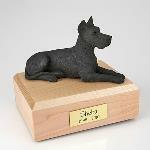 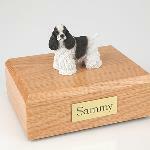 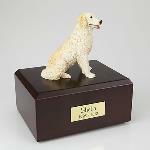 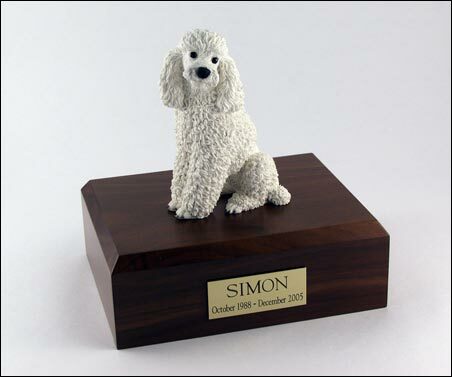 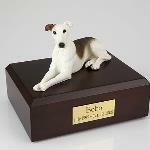 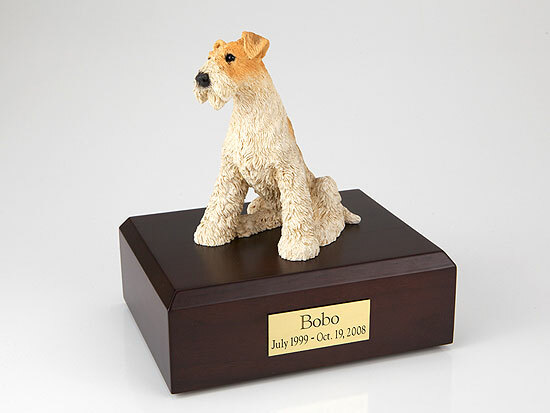 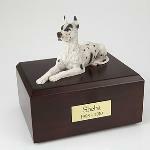 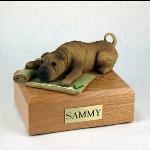 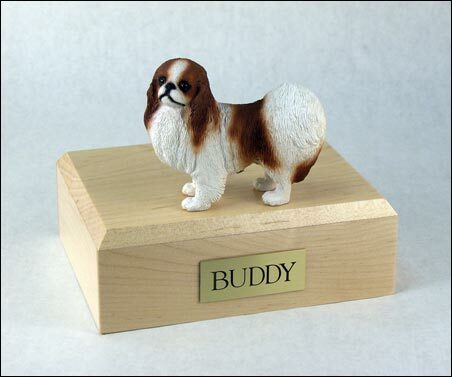 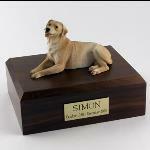 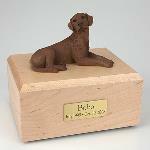 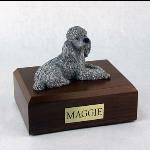 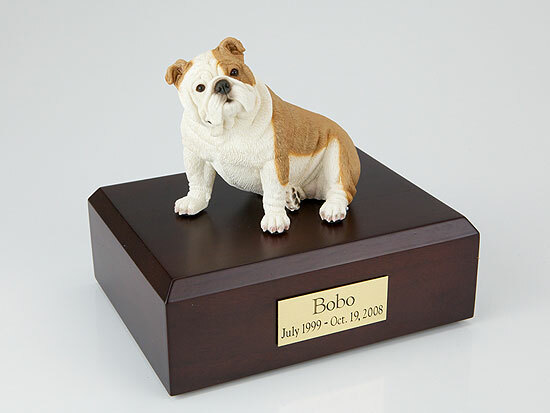 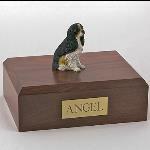 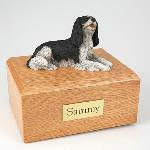 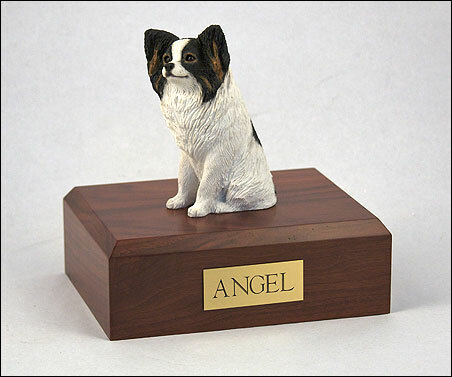 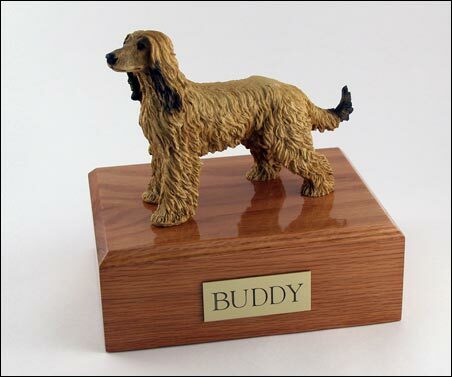 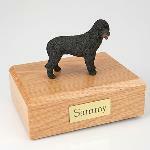 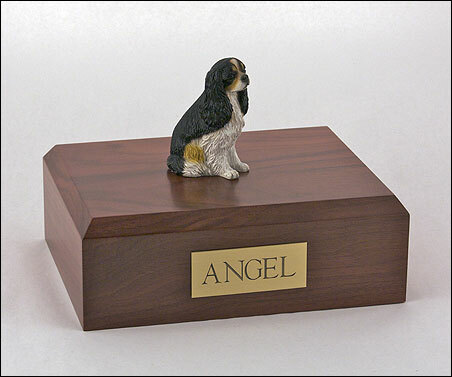 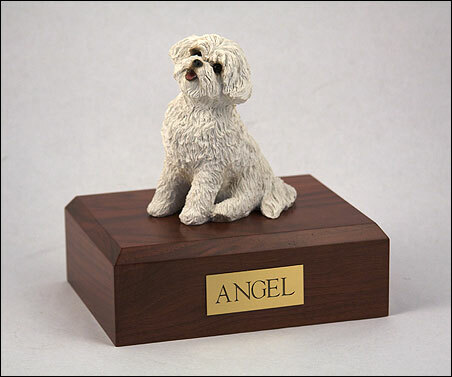 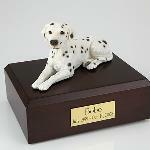 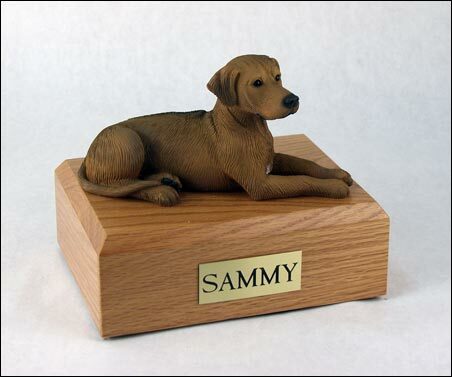 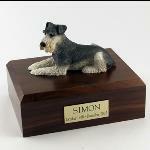 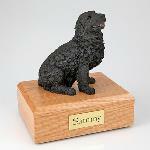 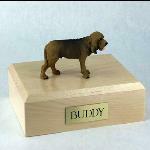 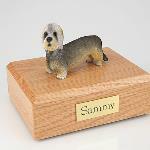 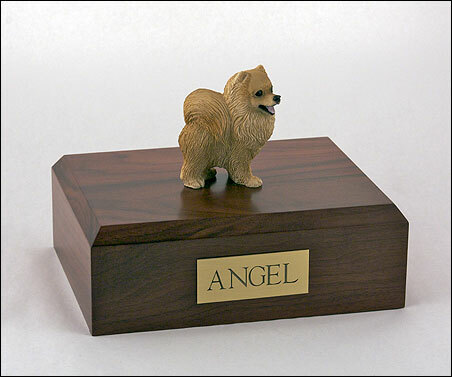 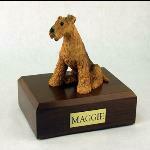 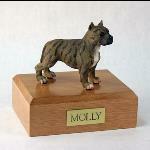 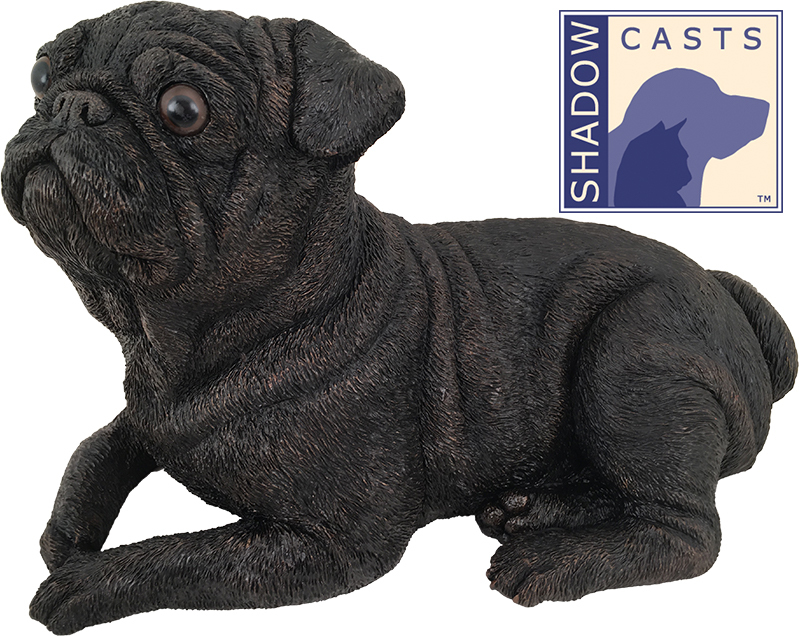 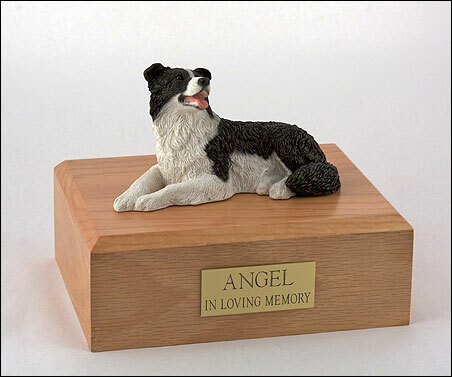 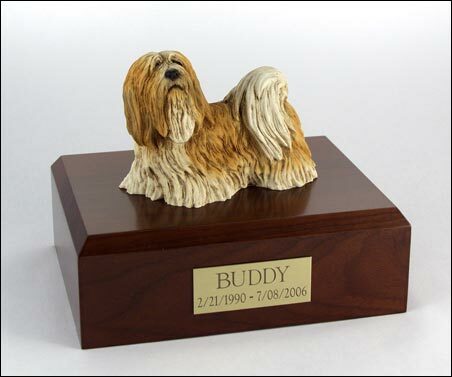 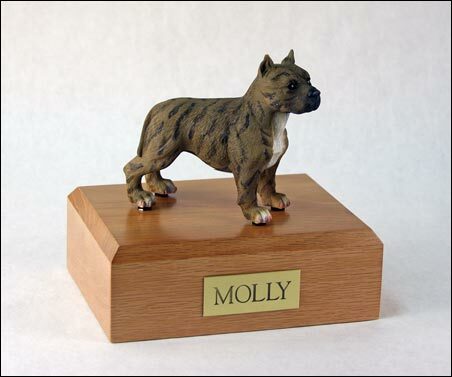 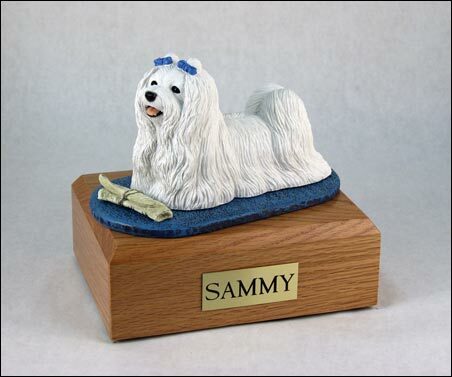 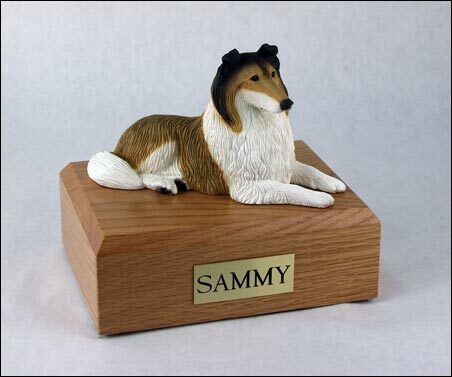 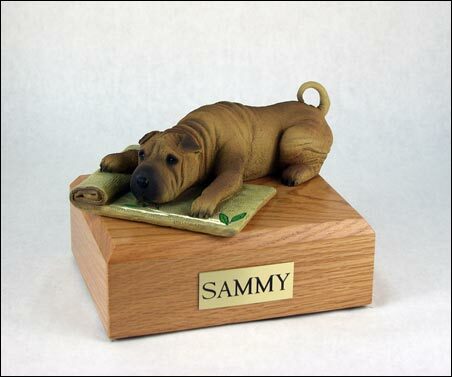 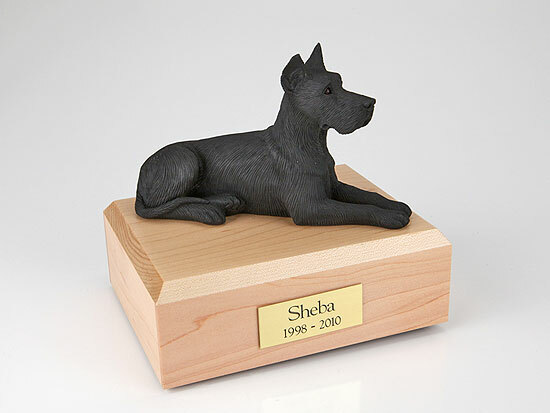 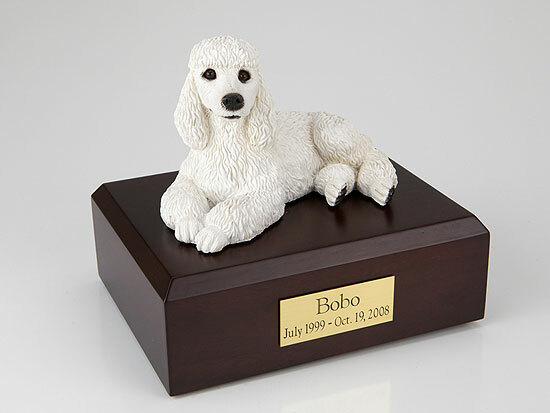 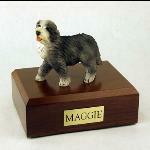 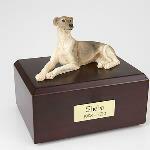 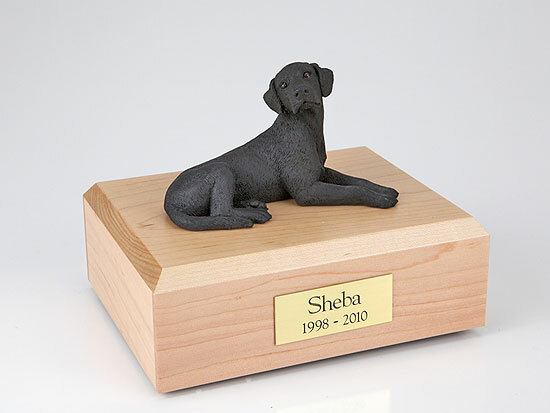 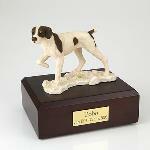 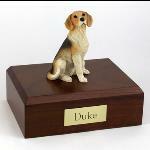 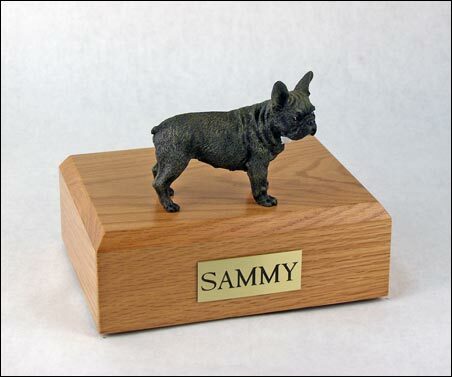 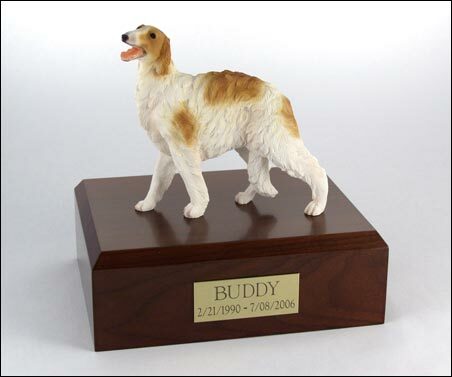 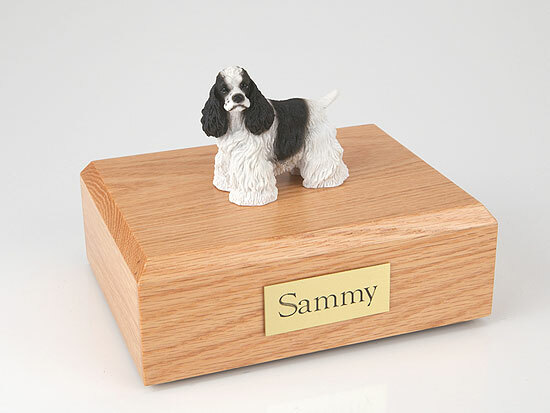 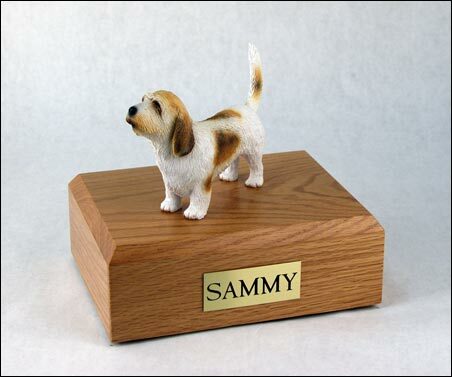 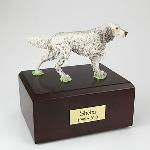 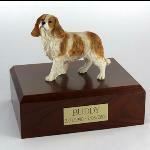 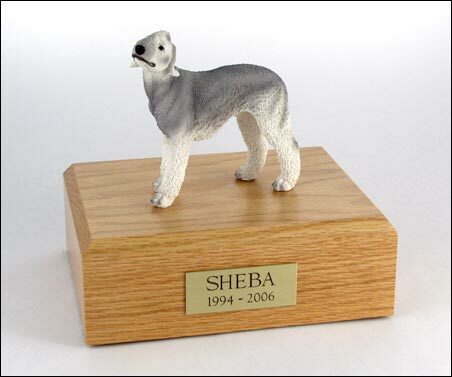 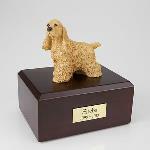 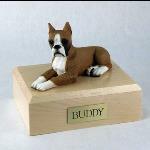 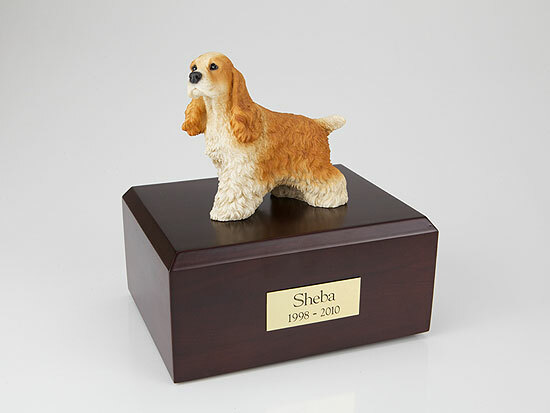 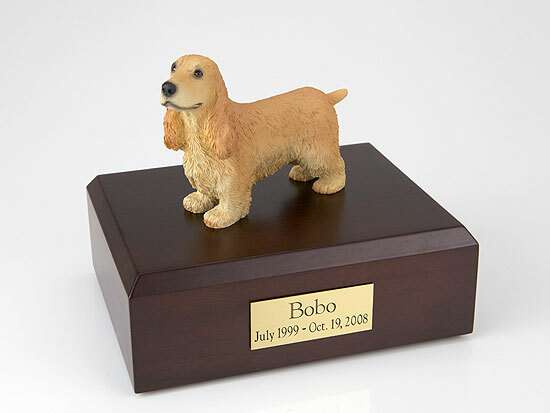 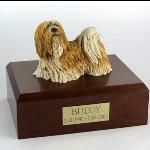 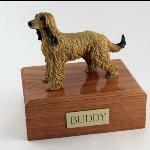 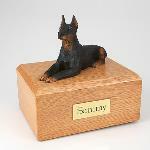 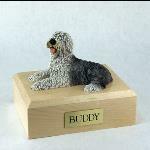 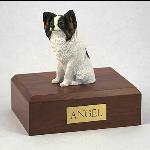 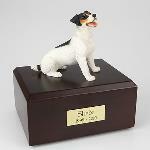 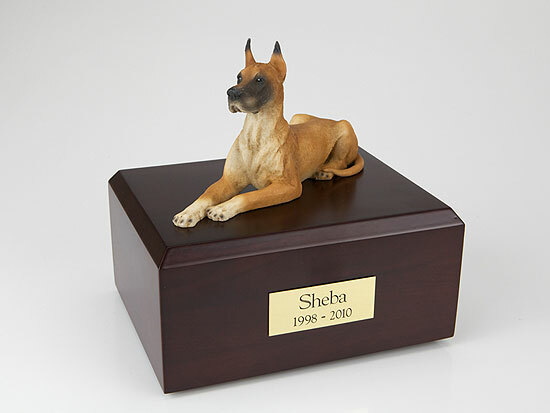 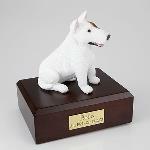 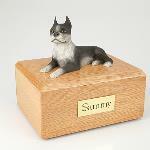 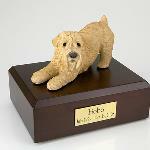 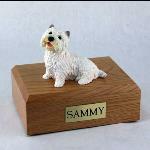 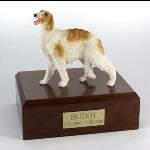 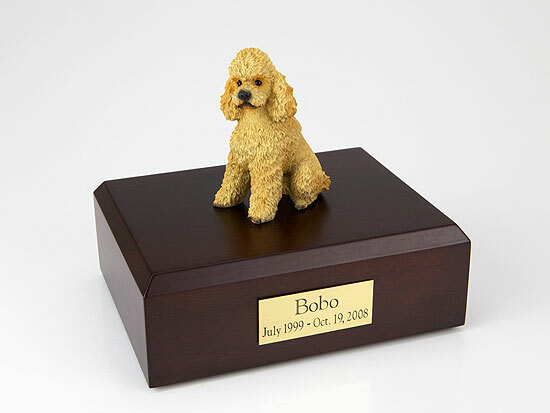 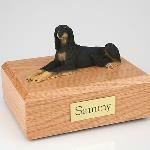 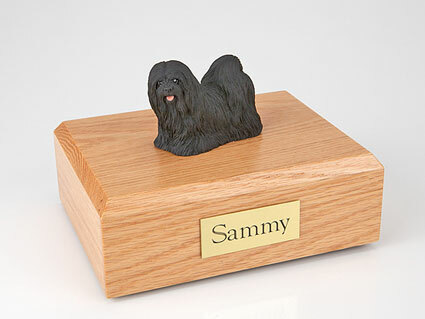 pet = Medium Figurine Urn - 7.75" x 6" x 3.75"
61-90 lb. 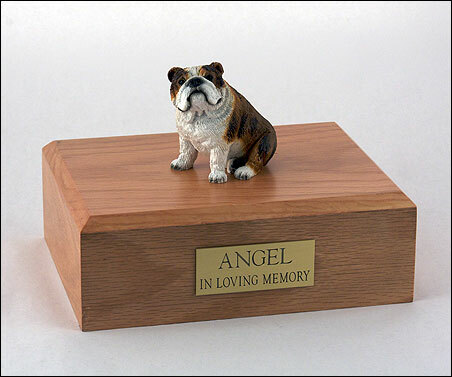 pet = Large Figurine Urn - 7.75" x 6" x 4.75"
91-120 lb. 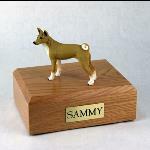 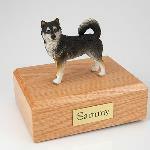 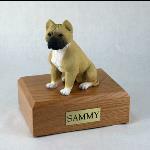 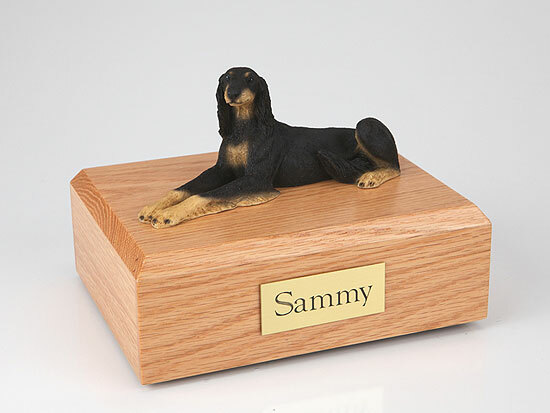 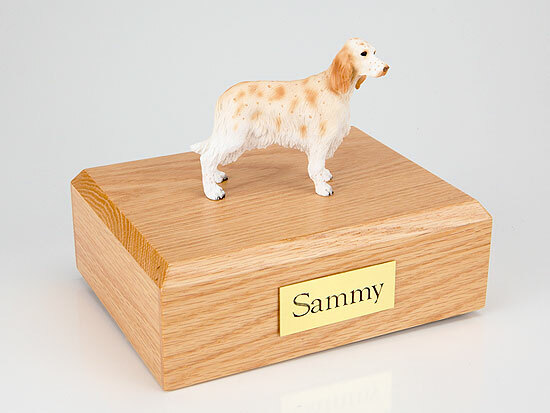 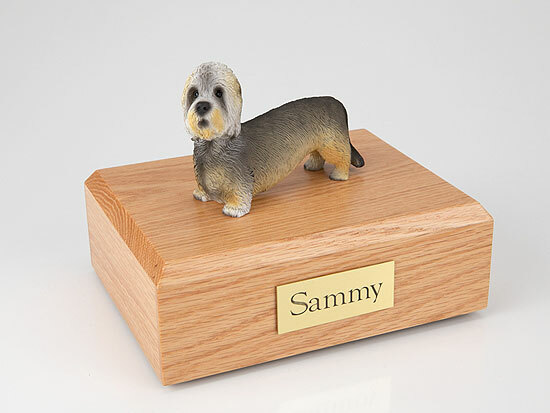 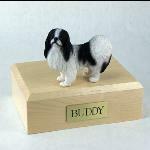 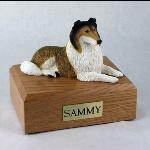 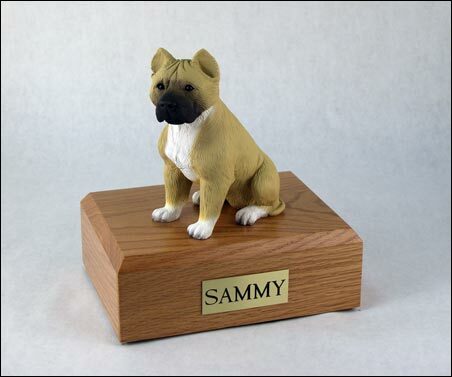 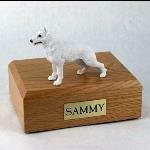 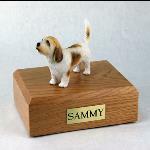 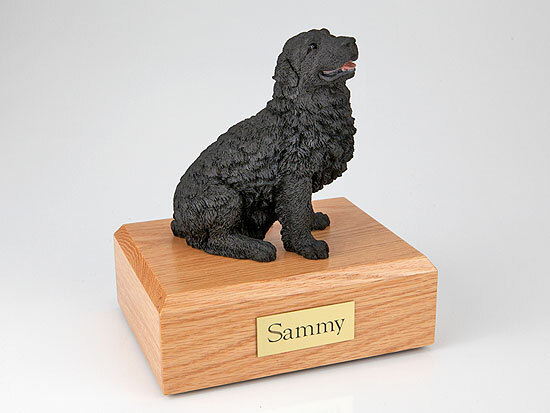 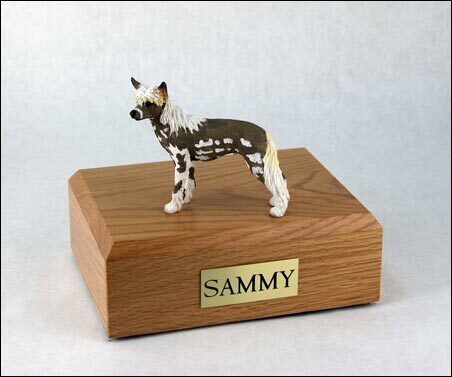 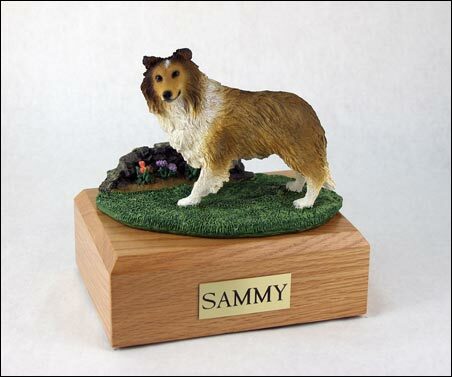 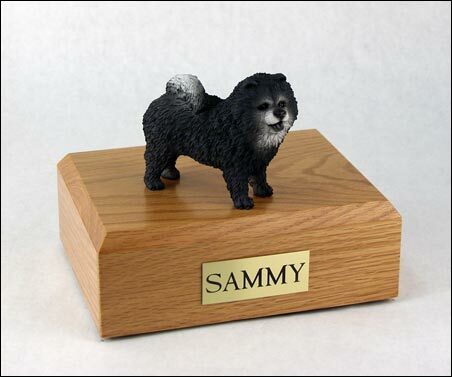 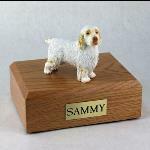 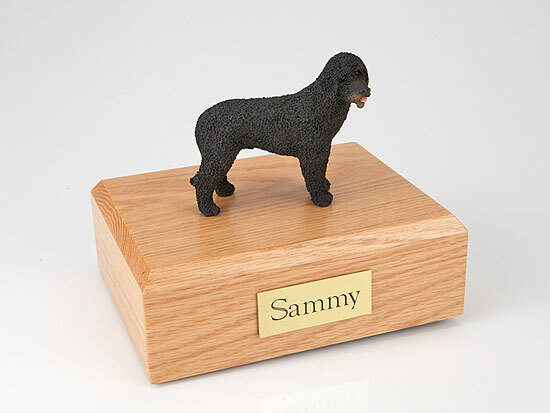 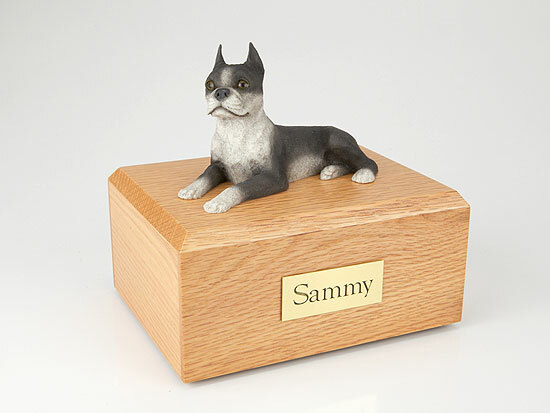 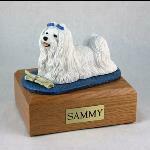 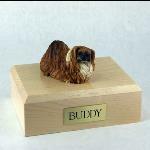 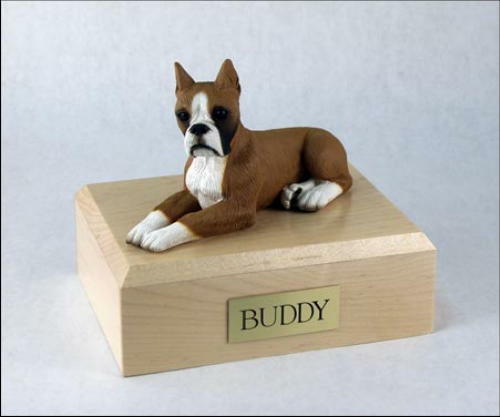 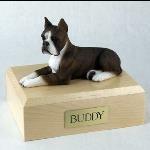 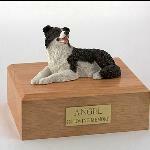 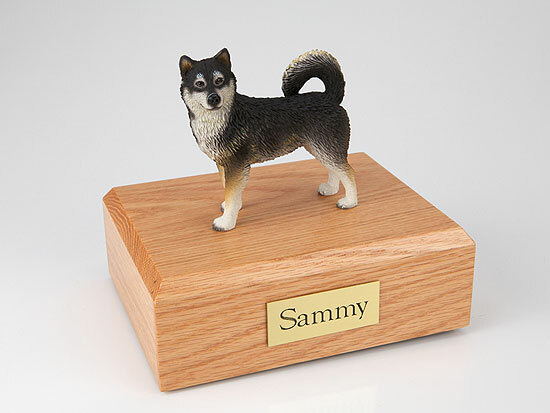 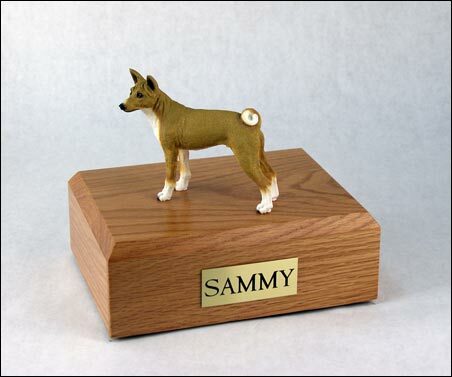 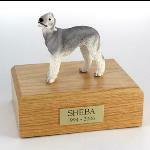 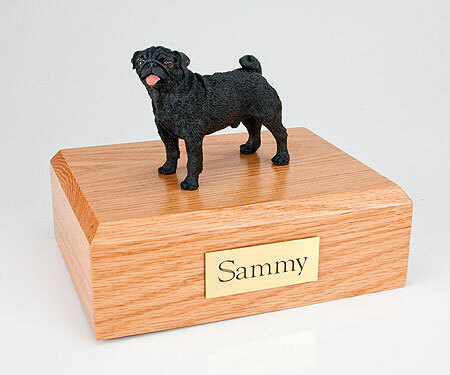 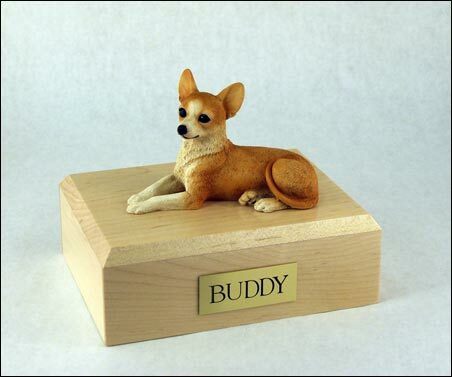 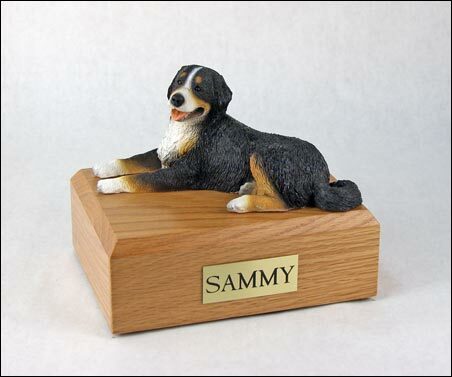 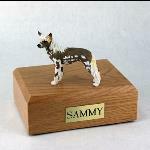 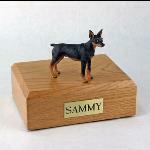 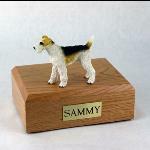 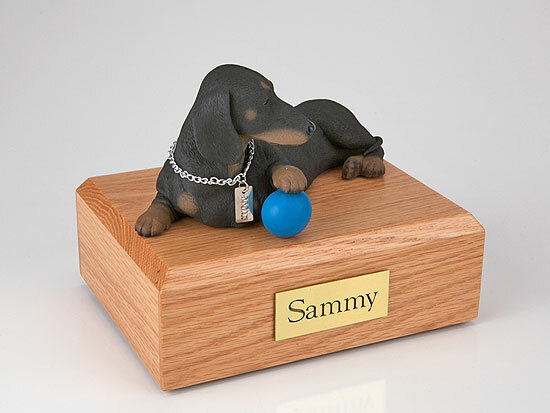 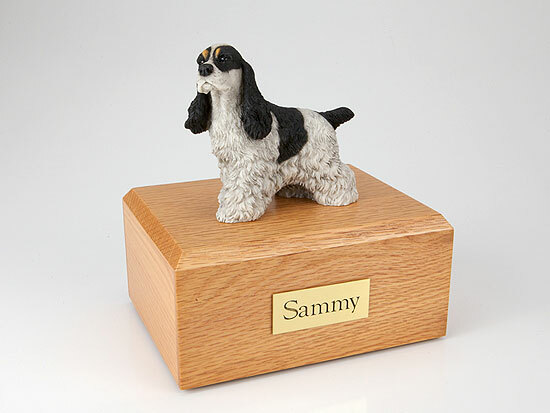 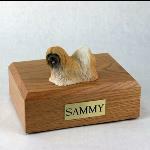 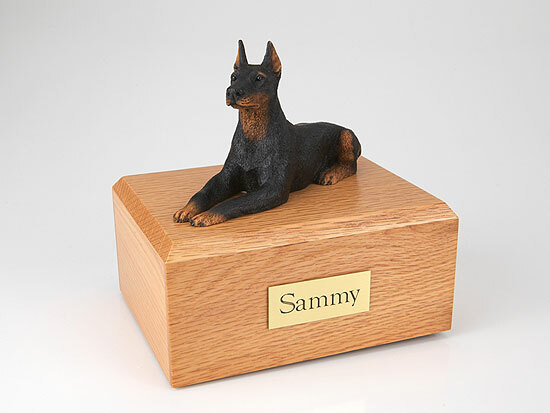 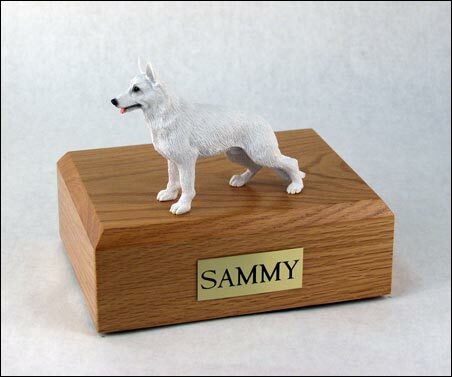 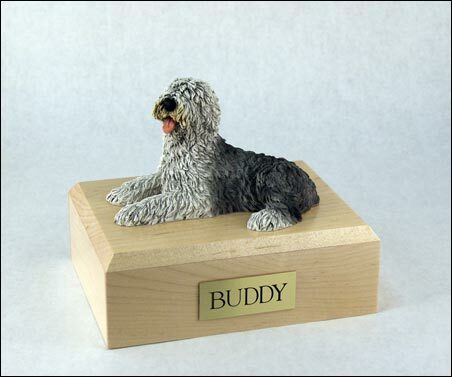 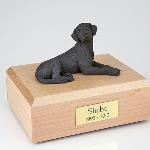 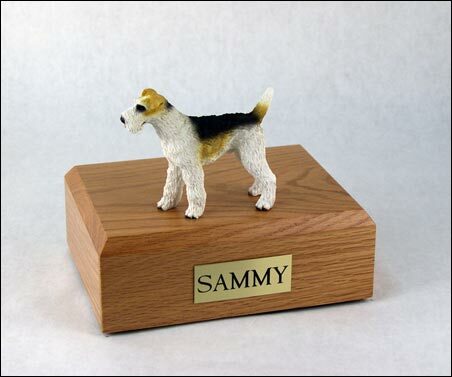 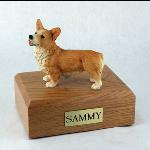 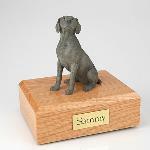 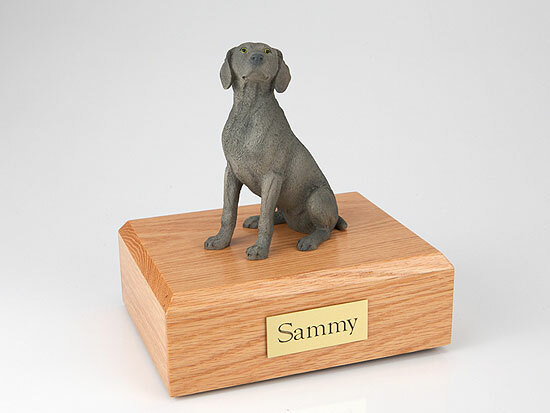 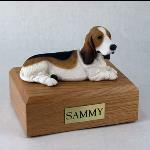 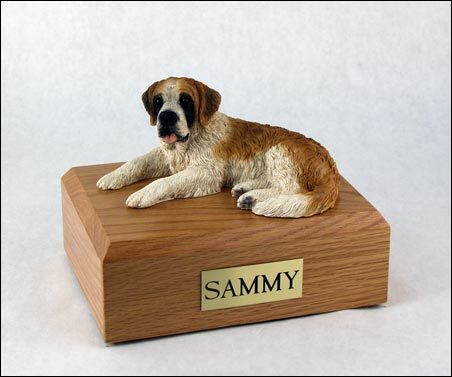 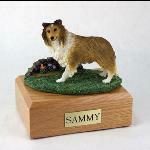 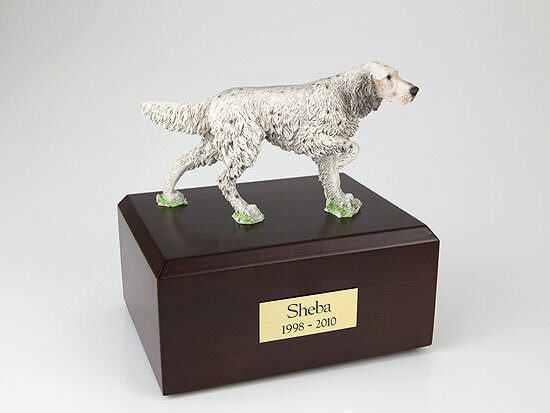 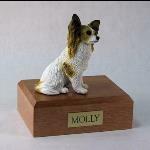 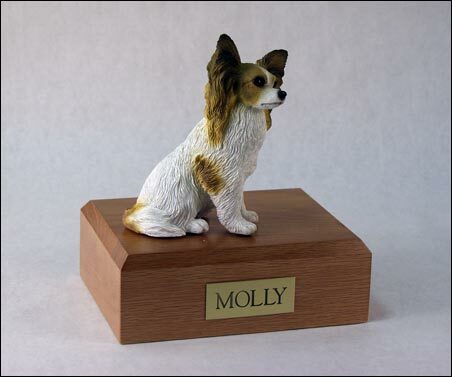 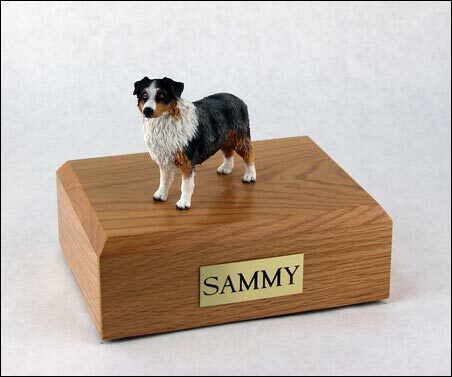 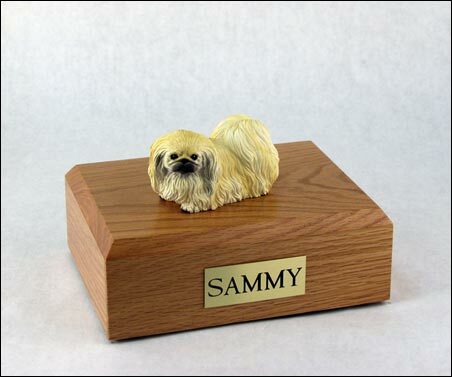 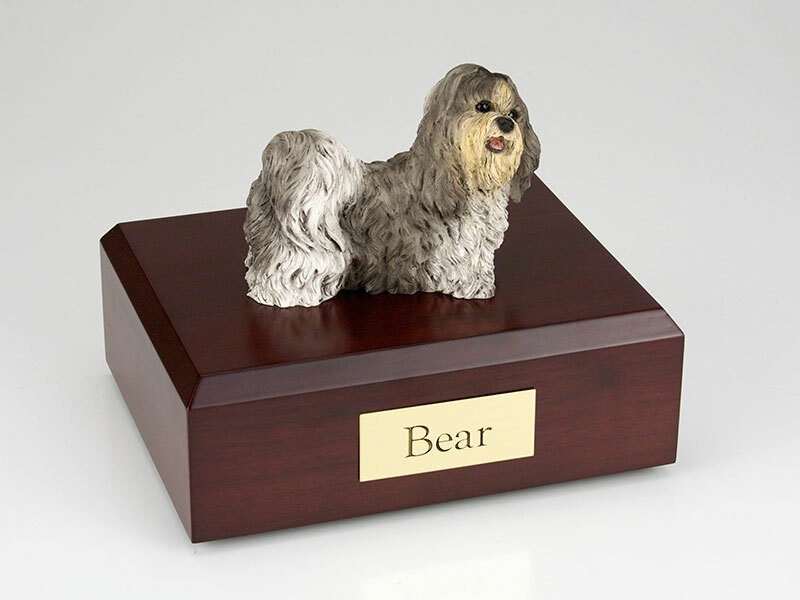 pet = X-Large Figurine Urn - 7.75" x 6" x 5.75"
They are topped with a They are topped with a resin like figurine of your choice. 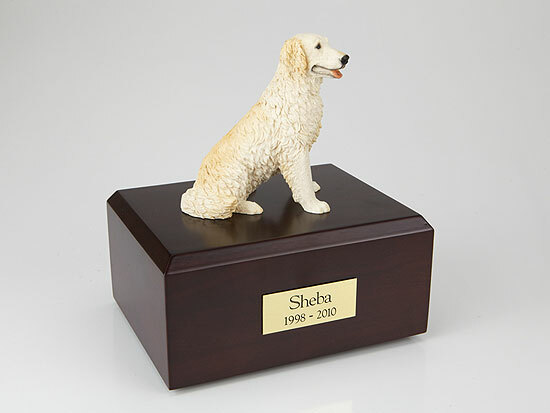 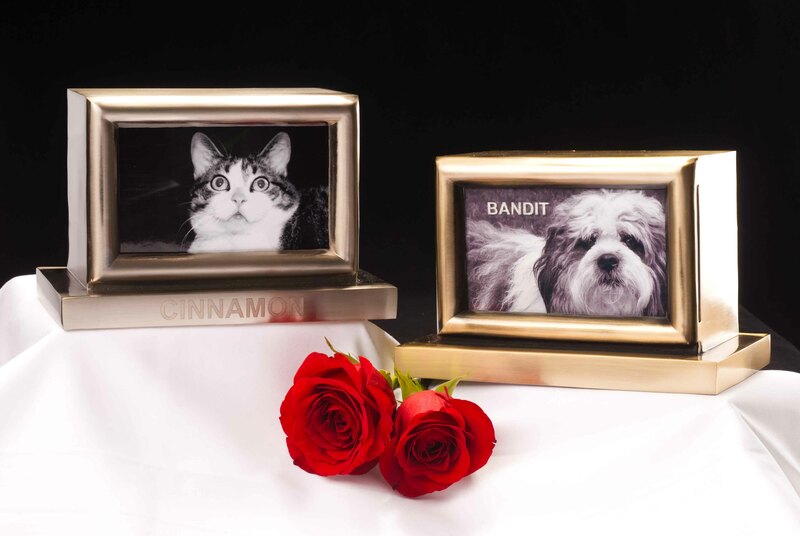 All of these Pet Urns come with a 100% money back guarantee.